As the Chinese Communist Party’s ironically named ‘National People’s Congress’ gets underway in Beijing to decide where the balance of power within this authoritarian regime will lie for the next five years, there has been more media scrutiny of the widespread crackdown on online activity there has been to try and ensure this flagship event goes off without a hitch. On Monday, the German Ambassador to China, Michael Clauss, spoke out against the ban on VPN’s, which is scheduled to come into effect in China from early next year. He said overseas businesses in China were particularly concerned about it, especially alongside the recent blocking of WhatsApp too. The timing of this statement, just ahead of the ‘National People’s Congress’ will no doubt have angered Communist Party officials. But it will have been deliberately released as a warning to the regime that such online restrictions are not compatible with the levels of foreign investment in China continuing. Foreign businesses are no doubt unwilling to protest too strongly to the Communist Party directly as even they will fear reprisals. But they will no doubt have raised concerns with their local embassies and the German Ambassador is the first to go public with these concerns. According to Clauss, the biggest concerns that he has been privy to relate to the law’s “extensive scope” and “unpredictable implementation”. 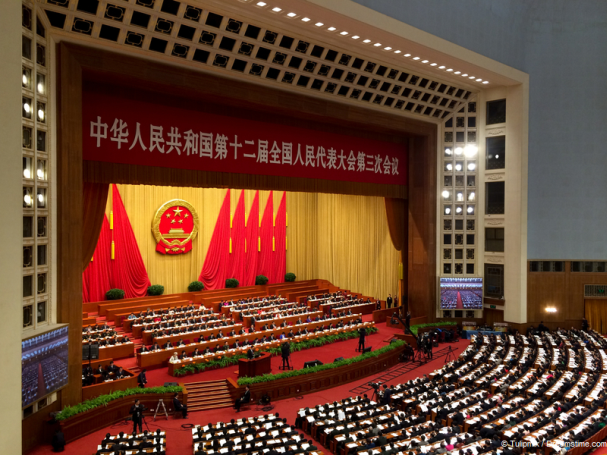 It is typical of such oppressive laws in China to be worded as vaguely as possible to allow the regime to crank up and pull back on implementation as they see fit. But companies who rely on VPNs and encrypted communications to conduct their business with the outside world need more certainty. If the Chinese Communist Party are unable to deliver this, there will be less interest in the Chinese market as a result. As Class himself said in his conclusion, “excessive cyber controls [could] drive us apart.” This is not the kind of message the regime wants to hear as the People’s Congress gets underway, but such is the extent of Chinese online oppression right now, that this is the reality with both companies and individuals from overseas who are currently working in China. While the VPN ban is not scheduled to come into force until next February, it does appear that the regime is already trying to implement the block on a number of providers ahead of the ‘People’s Congress’. At present, it seems that those VPN services which have been affected are mostly ones based in China. There has been no official confirmation, but names of VPNs not currently operational in China being reported on social media including TigerVPN, GreenVPN, Lantern, and Netfits. There are obviously significant privacy concerns that come with using a VPN located in China at any time, but for some, they are the only services they can gain access too. From those international VPN providers whose service works in China, such as IPVanish, ExpressVPN, and VPN.ac, there have been no reported service problems at the time of writing. Temporary measure or a continuing trend? It may be that these new blockages are only temporary and once the ‘National People’s Congress’ has ended, services will return. But given the trend for online repression in recent months and years, it is quite possible they will not. This will not only stop Chinese citizens from accessing the many thousands of websites which are unavailable behind the Great Firewall, but will have an adverse effect on Chinese academics, scientists, and any business operating in China which conducts business with the outside world. It may be that President Xi will use this event to open China up to the world more. But few analysts are predicting this, Rather, he is more likely to double-down to protect his power base. This will mean more online repression and, as the German Ambassador himself has noted, drive a further wedge between Communist China and the free world.